OTTAWA, June 24, 2016 – Canada should be a world food superpower. 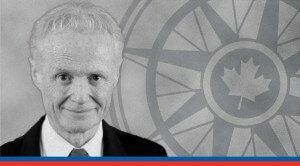 Instead, writes Brian Lee Crowley in a new commentary for the Macdonald-Laurier Institute, we are seeing our share of markets steadily eroded as other countries literally eat Canada’s lunch and breakfast and dinner too. Canada’s market share has declined in everything except pulses, changing a fairly even trade balance to a $9-billion deficit. To read the full commentary, titled “Does Canada Really Want New Agriculture Export Markets?”, click here. Canadians could previously blame self-imposed obstacles such as supply management, trade protectionism and global factors such as currency fluctuation for this poor performance. Canadian farms are now reaping the bitter fruits sown when they failed to realize that trade with the United States would no longer be enough to sustain them. If Canada wants to break into new markets, it needs to become productive. But that will require major investments that producers have not been making in recent years. In Canada, says Crowley, we are not merely not investing; we are pulling our money out. Canada also has a preoccupation with small operations that is preventing the major players from reaching their full export-market potential. Programs aimed at helping out smaller operations directly and indirectly reduce the amount of capital available for investment. Combine this with a cumbersome regulatory system that places hurdle after hurdle in front of operations trying to innovate and you have an environment that is holding Canada back from reaching its potential as a world food superpower. “There is no will on the part of government or industry to develop any type of strategy that will improve competitiveness across all these issues”, writes Crowley. “But only such a strategy will earn us the productivity increases which are the indispensable condition of winning the international market share that our agri-food capacity warrants”. This commentary is based on a speech Crowley gave at the annual general meeting of the Canadian Animal Health Institute on June 6, 2016.